Medical Alert System or Personal Emergency Response System (PERS) is a device that sends an emergency alert to the call center where all the medical history and emergency contact details of doctors and family members are registered of the person who has worn it. Benefits of the medical alert system are enormous that will be discussed in this article. This device is specially designed keeping in consideration to the people of old ages like after 60 who are disable or suffering from such a chronic health concern that may need a medical emergency at any point of time. Also due to age, the concern of falling is quite usual in this age group and it may possible that after fall the person is not been able to stand and ask for help then this device play its role. Apart from the falling issue, the other factor that shouts out the necessity of this device is loneliness. There are several aged people who live alone as their children are living in some other place or cities. In this condition, their dear one cannot reach to them on any medical emergency situation. However, pressing a single button of a medical alert system can send a signal for this urgent situation to the responsible departments for sending medical personnel help. Not only for senior citizens but also the mid-aged people who are suffering from a life-threatening disease that needs an immediate medical attention at the time of emergency without delay, for them as well this device can work magically. The benefits or importance of a medical alert system are enormous. This device has brought a drastic reduction in safety fear concerns among aged people as now their safety is in their hand in the form of a wristwatch that ensures 24×7 hours protection to them which is very essential to live a fearless life. A Medical Alert System ensures your safety concern even if you live alone in your house. You only need to press one button and a direct communication can be established between the responsible department and you. As its accuracy percentage remains 95% accurate so it is quite reliable and safe. This device has an automatic fall detection feature so even if you cannot move your body a bit to get self-help then also this device will do its work automatically by sending a signal to the necessary departments. It is as capable and smart that it can well differentiate between the regular body movement and in some special movement such as fall of the body. When you get immediate medical attention just after your fall and injuries thereafter, so the chances of recovery is faster than any other condition when medical help couldn’t be approached on time. As soon as you fall the device sends the automated signal to the medical departments where your medical history is already enlisted. They send necessary medical personnel for your help who can give first aid to your wounds or injury. Due to timely medical help and care, you become able to recover from your injury at the earliest possible time. By ensuring safety or in more precise term complete safety in adults irrespective of time this medical alert system has increased the longevity or lifespan in adults since the time of its invention in medical department in countries like US and UK where it is mostly used by people. Now adults stay and travel anywhere with a fearless heart as their safety device is always there to provide them medical help on time if a necessity arises. When a person is able to live her or his life without any stress and fear feelings then their immunity power and inner strength get a natural boost which is one important factor for living a long life. As the medical alert system has ensured the protection of the health of elders and alone living aged people so family members of such people can live a better peaceful life as they don’t have to worry all the time regarding their dear one’s safety as this safety device is there to inform them in the case of need. This is the most vital benefit of this device that enables the children of aged people to live in a faraway place with a relaxing mind. 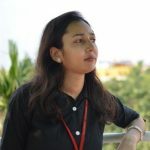 Also, it ensures the peace of mind in aged people when they know that they are self-dependent regardless of their health and can save their health by own. 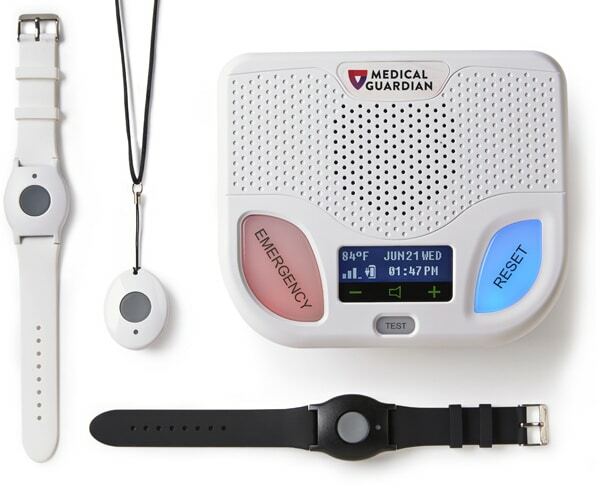 With the time the medical alert system’s devices are made in much more advanced form and loaded with much more effective features which were missing in the previous or earliest time MAS devices. These are easy in wearing and very much portable so anyone can wear it all the time without any issue of discomfort so that necessary signal can be sent at the time of necessity. Every year some modification is done in these wearable devices in order to make it much more effective and comfortable in wearing and use. It is worn in the wrist or around the neck of its user. It has a simple button that is needed to be pushed on in the case of fall or any medical emergency situation. It works both inside and outside of the home means the total safety of an aged person. The Medical Alert System has brought 50% reduction in the fall cases of adults in the countries like the USA where this device is widely used. The reason can be said psychological effects in the users who were wearing this device. When an adult wears this safety device one positive psychological feeling automatically generates in their mind that they are now protected and can move fearlessly. This positive approach and assurance in their mind bring confidence and that prevents their usual fall down hence the graph of fall rate in adults has drastically reduced. The mobility rate is increased in adults after wearing this safety device in hand as they feel much more protected than before and can freely move around which is very important for their fitness. In aged people, fear of falling exists to a great extent especially when they enter a ground and mostly they fall because of this fear that affects their mobility. It is very important for everyone to stay mobilized otherwise physical stiffness occur that give birth to many health issues due to sedentary living. In aged people when they fall once the fear of falling again make home in their mind and that stops them to move normally and they generally start preferring to sit as they don’t want to fall again. This safety device plays an important role here for increased mobility among aged people by ensuring safety in their life and even if they have faced an injury due to fall they don’t stop their movement and general activities and live their life normally. Selection a good medical alert system either for our elders or for own self-need thorough verification of all its aspects as it is a very important decision. Otherwise, an unwise MAS selection may cause health risk of the person for whom it is taken. So to make your way easy below we have mentioned some crucial points that you must go through before you take a Medical Alert System. You need to first check thoroughly the wearable device of this medical alert system that you are planning to take. This verification will let you understand how is this actually works and whether it is consist of all necessary buttons or help buttons that can be pushed in the situation of emergency. An advanced structured medical alert system comes with different help buttons that are placed in different rooms of the house. So even an old person has not worn the device they can push the button from any room even from the bathroom if the button is placed there too, under the condition of emergency. The easily accessible button feature is quite essential for aged people who often forget to wear these devices or don’t like to wear them all the time. So if you are planning to take this help system must consider this feature is associated with your medical alert system. 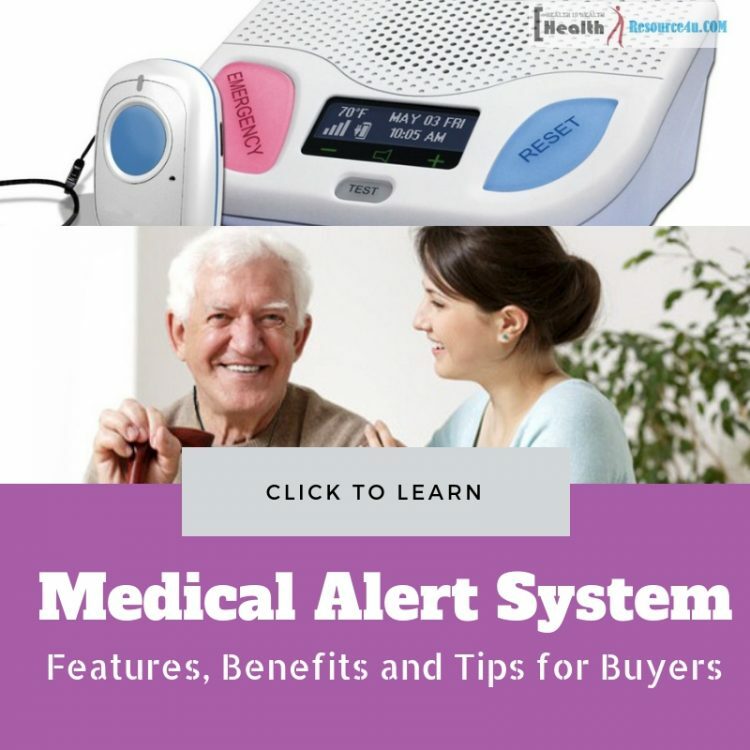 Ultimately the medical alert system that you will purchase is going to be used by someone else means your elder ones, so make sure that the device you are going to take is appropriate and suitable for them. Otherwise, an uncomfortable device will do nothing if its real user is not wearing it or able to utilize it. For example, some aged people find a neck wearing device suitable and easily accessible to them whereas some people find it annoying and consider the wrist device better and suitable for them. So only after considering these factors select the medical alert system. Check whether the medical alert system that you are planning to take have multiple contact button instead of a single contact feature, as that may cause trouble in under the condition of emergency where contact is not been able to reach. Only those devices should be preferred which has at least three contacts can be added for preventing a risk. This contact list may consist of anyone whom you rely on such as family member, medical unit or a call center or and a trusted friend. This device will contact the optional contact person if a response is not received from other contact options. The device you are going to choose for the safety and protection of your dear ones must have a good featured battery otherwise an undesirable situation may occur if it has weak battery power or lack of a well-maintained battery backup system. This you can ensure at the very initial stage when you decided to take a medical alert system. Ask the healthcare unit where from you are buying it regarding its battery features and facilities. Some devices have an advanced feature that can send alert to their contacts that the device has less battery and it needs charging so that they can call their elders for charging it. Different medical alert systems have a different kind of payment features so as per your budget and suitability you have to choose the one at the beginning so that in the mid time you don’t have to leave it due to your incapability of payment. So you should ask the company while buying it, about their payment mode, charges and any other discount facility is available or not. Out of different payment structures, monthly fees payment facility is considered as more beneficial than the other ones as because your burden of payment is divided into months so you need to pay a less amount with a comparison to on-time payment structure means fewer burdens. Check the availability and range of the base station associated with the medical alert system device. It’s not that aged people will fall inside the house only instead a fall may happen outside of home place too in that case a good range of base station is required for the emergency help and safety of your dear ones. Make sure that the medical alert system that you are about to take has a well maintained personal monitoring center where healthcare personal exists to provide immediate help under the cases of emergency. This added feature of your device makes it more reliable and ensures better safety of your loved ones who live far away from you. Also, check the certification of these monitoring centers as because a certified monitoring center has the well-experienced emergency operating personnel that can provide first aid and other necessary help under the case of falls of the aged person. The medical alert system that you are about to take if have trial facility before actually possessing it or have return policy in the case of dissatisfaction within a limited period, then it is best for you as by the trial process you will completely able to understand that how the device is actually working and completely comfortable for your elder ones or not. After trial if you find it suitable for your purpose then take it otherwise you have an option in hand to look for some other medical alert system. The medical alert system has facilitated a wonderful opportunity for everyone who stays far from their parents but concerned about their health as this device is able to provide instant help in the case of an emergency. So take the all benefits of the medical alert system by choosing a right one for your dear ones.